This entry was posted on April 3, 2010 at 4:00 pm and is filed under Uncategorized. You can subscribe via RSS 2.0 feed to this post's comments. Okay, so now I can taste that “Xmas log” and would like the recipe when you get a chance. Yummy…SWEET memories for sure. 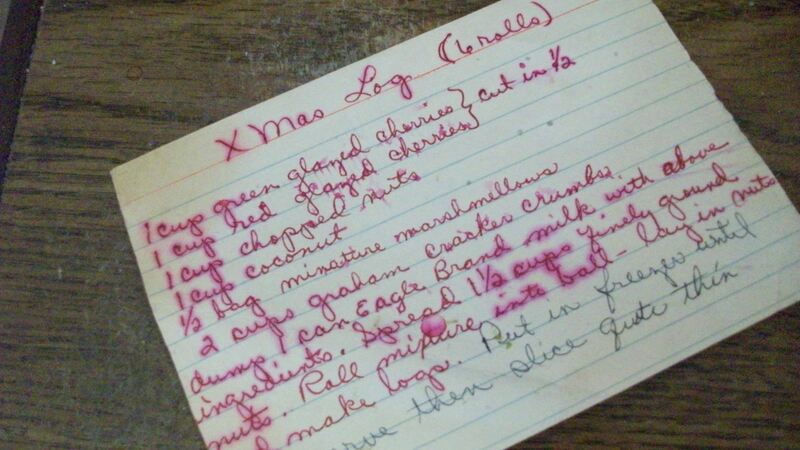 I love you stories and I would like to try the “Xmas log” recipe when you get a chance. Oh have fun moving, I swore I would never do it again.